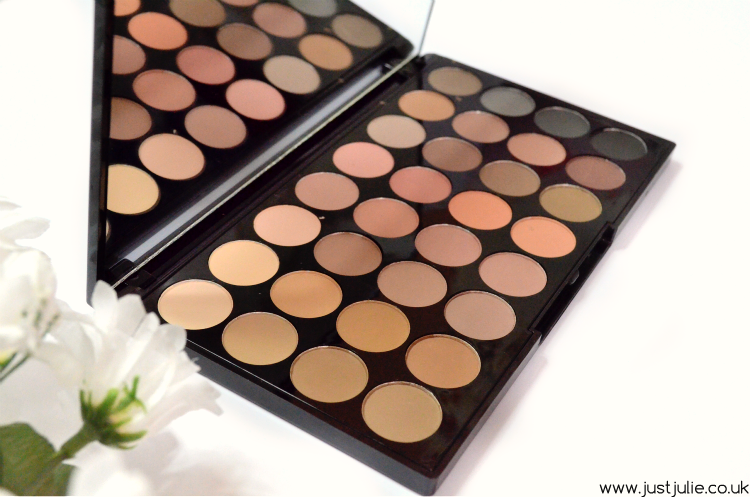 The Ultimate Matte Eyeshadow Palette! Yes another launch from the ever growing popular inexpensive makeup brand Makeup Revolution. I've reviewed many of their palettes in the past and I recently raved about their Essential Matte 2 Eyeshadow Palette but this time they have gone two steps forward with their latest matte eyeshadow palette. The Ultra 32 Shade Eyeshadow Palette FLAWLESS MATTE comes complete with a whopping 32 neutral, warm/cool toned matte eyeshadows, all packaged up within their trademark, sleek glossy black palette, which includes a large mirror, a design that I have really grown to love. As you can see from the photo above there are mainly neutral colours. Browns seem to dominate this palette and I'll be honest, there is little difference between some of the brown shades, however I do like that there are an array of different brown eyeshadows here, some with a more golden undertone, some with a pink undertone and some with a slightly grey undertone. Of course there are some great skin toned shades with a mix of yellow and pink undertones, and at the far end of the palette you'll find slightly more dramatic shades in the form of the greys and blacks. I opted against posting swatches with this palette, one because there are sooo many and two because some of the shades in the photos didn't photograph too great and a few looked very similar. Personally I always find it hard to photograph matte eyeshadows as they often don't photograph true to life. Quality wise I actually prefer the texture and formula of these in comparison to the Essential Matte 2 palette, which I did like. There is definitely less fall out with these, they aren't too chalky and powdery and they seem to blend in really well. 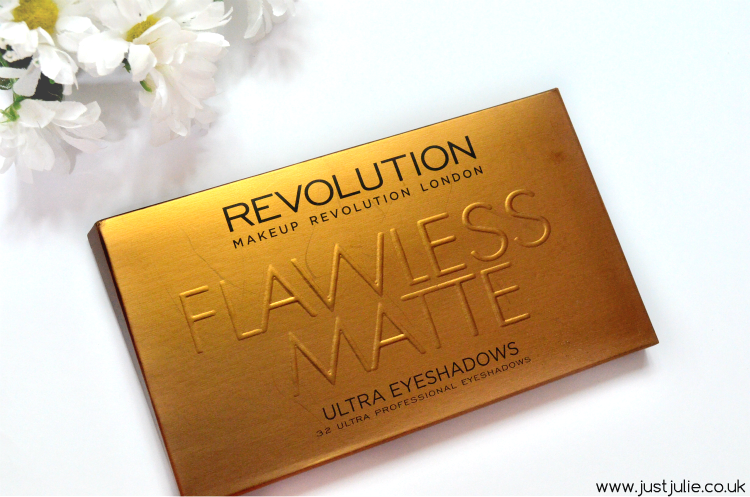 They have a buttery feel to them, which is often so rare to find with matte eyeshadows, so I think Makeup Revolution have got this palette on point in that area. I do however wish that there was more of a mixture within the shades, as I said some are so similar to the other one, that being said I do think this is a great palette. You have every neutral shade you could wish for here, every shade compliments the other and I love that you're also able to create something more dramatic, which is something I personally love to be able to achieve with a palette of this size. I'd love to see a palette that has some purple matte colours, for me that would have made this the perfect matte eyeshadow palette. 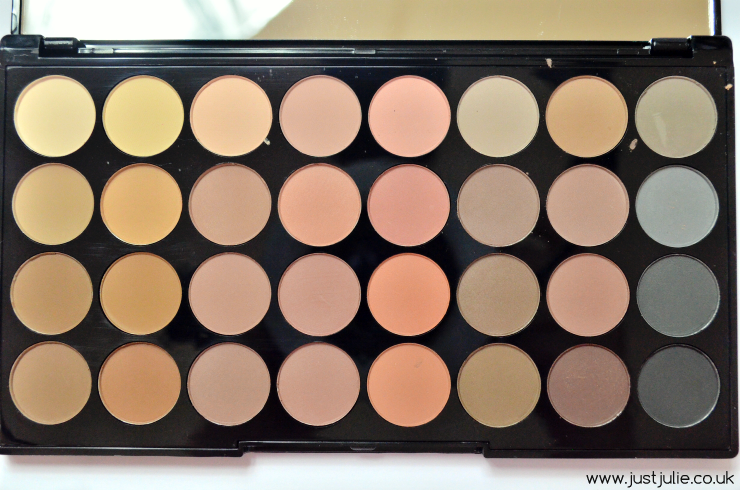 If matte eyeshadows are your thing, then I'd recommend picking this up. At the price of just £8, I can actually forgive there being shades that are so similar. Are you a matte eyeshadow kind of woman?